WALTERBORO, SC (WCSC) - An 18-year-old who was abducted in Florida when she was a newborn and discovered in Walterboro has met her birth family. Kamiyah Mobley had a video call on Facetime with various members of her family, including her father, on Friday. "I always hoped and prayed that this day would happen," said Kamiyah's father, Craig Aiken. "I never gave up, you never lose hope, no matter how much time passes, you never give up." Aiken told WJXT that detectives showed up to deliver the amazing news to family members. "I saw her the day that she was taken and I haven't seen her since and I don't want to scare her away," said Velma Aiken, Kamiyah's grandmother. "So I'm going slow motion because I want to keep her now. I don't want to run her." Aiken said he did not give up hope throughout the whole ordeal. "From the detectives that I've been working on this for 18 years, putting another time, because we thought they weren't working on it, but they were still working on it, I have to tell them thank you and I appreciate that," Aiken said. Investigators arrested 51-year-old Gloria Williams at her home in Walterboro Friday morning after DNA evidence confirmed officials had found Mobley. Authorities say Williams was passing Mobley off as her daughter. Williams is being held at the Colleton County Jail and was denied bond Friday afternoon in an emotional court hearing in which Mobley was present. At one point, Mobley walked up to Williams, who was behind a barrier, and touched her hands. Williams was then seen blowing a kiss at her family. Investigators believe Williams entered a Jacksonville hospital room dressed as a nurse and left with Mobley, wrapped in a pink and blue blanket, on July 10, 1998. When Williams didn't return, security was called. Mobley's mother was 16 years old at the time. The search for the baby grew into a national story. After more than 2,500 tips, one sent to the National Center for Missing and Exploited Children got the ball rolling last year, deputies with the Jacksonville Sheriff's Office say. Almost 200 miles away in South Carolina, officials found an 18-year-old woman with the same birthday but a different name. After further investigation, authorities realized fraudulent documents were being used to establish her identity. DNA analysis confirmed she was Kamiyah Mobley late Thursday night. She's "a normal 18-year-old woman" now, according to authorities. Investigators say Mobley had a feeling she may have been a victim of kidnapping, but grew up believing Williams was her biological mother. Mobley has been provided with a victim's advocate and authorities say they want to help her with whatever she may need. Whether she would make contact with her family and how she does it was up to her, they said. Family members of the suspect are not convinced Gloria Williams is a kidnapper. Williams' aunt, Susan Alls, says she watched Mobley grow up to graduate high school. She refuses to believe that the child doesn't belong to Williams. "I don't think it's true," Alls said. "There has to be something going on with the DNA, whatever they did." A neighbor told Live 5 News' Harve Jacobs that Williams has lived in her current house for about seven years with her husband and the now 18-year-old girl. "Oh lord, I mean it's overwhelming," said Lakeshia Jenkins. For the last seven years, Jenkins has lived right across the street from Williams. 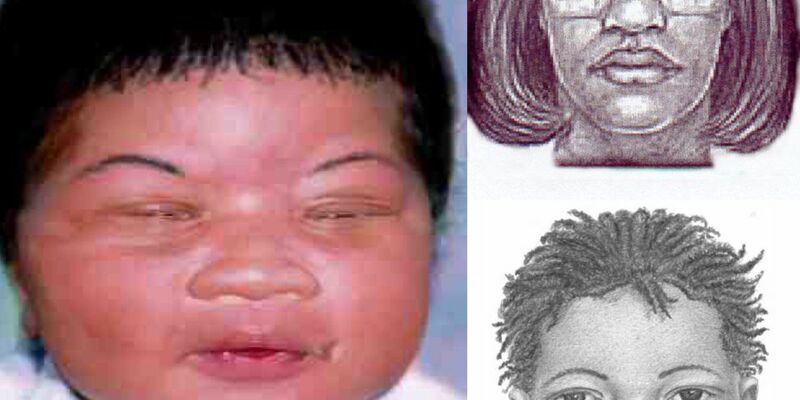 Jenkins had no idea her neighbor was wanted for kidnapping a baby from a hospital in Jacksonville, Florida in 1998. Until Friday, she believed the now 18-year-old girl was Williams' biological child. Jenkins says the girl police say Jenkins passed off as her daughter seemed to be happy. "When I see her she seems happy," Jenkins said. "When she was in the house behind the doors, I don't know because I couldn't see what was going on inside the house." Jenkins says the husband was on the road working when the arrest was made. Copyright 2017 WCSC/WJXT contributed to this report. All Rights Reserved.